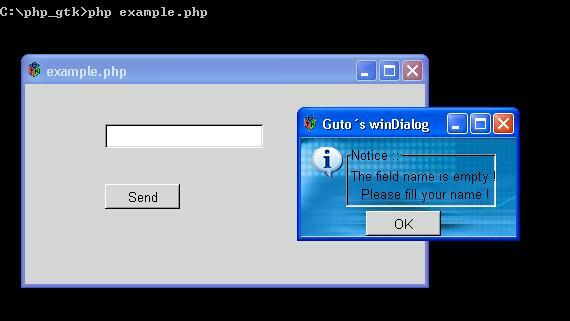 This class can be used to display notice messages as in dialog windows using PHP-Gtk. The class can create a window with a given notice message text and an Ok button. The function to callback when the Ok button is pressed is also configurable. The comments in the code are in English and Portuguese.